TRANS*PARENT strives for the empowerment, social justice, promotion of rights and positive social changes for the benefit of trans men, women and other non-cis persons. The organisation was founded in Prague in the spring of 2015 by a group of trans activists in response to the urgent need to create a support space and change policies to promote the advancement of transgender equality. TRANS*PARENT thus works towards understanding and acceptance of trans and non-cis persons on both the social and the legislative level. Adults: Weekly support meetings, social and cultural events, public discussions since 2015. Teens and Young Adults: Monthly supportive and creative workshops since 2016, providing a safe space to discuss relevant issues, learn self-care tactics, build ally networks and have fun! Children and Families: Monthly support meetings for children ages 6-14 since 2017 with simultaneous parent meetings facilitated by LGBTQIA psychologists and social workers. 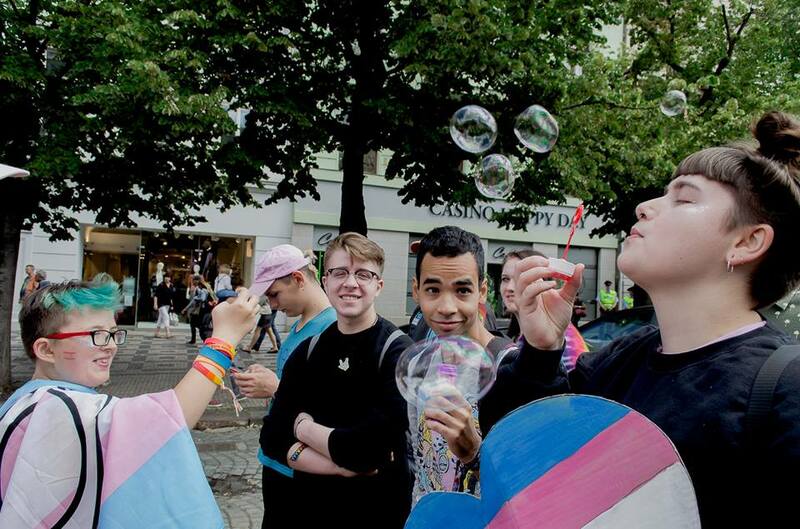 TRANS*PARENT is a not-for-profit organisation founded in 2015 in the Czech Republic by a group of trans activists in response to the need to change policies and support the advancement of transgender equality. You can help us on our way to fulfilling our mission by sending small donations. We greatly appreciate your support! You can also spread the word about our work! Share our website, Facebook page and events with everyone you know. Don't be afraid to visit us. Bring your experiences and expertise, join a discussion, hold a seminar, or just drop by! All of our services are free of charge, performed by a small team of volunteers who tirelessly donate their own time, energy, resources and know-how. We have no operational funding and minimal project funds and donations. Political science student, gradually taking over Trans*parent's advocacy portfolio. Passionate about emancipatory politics and ugly sweaters. Studies Gender Studies at Charles University, where they want to continue digging deeper into Gender Theory. They help with the organising of our picnics and boardgame events and you can sometimes meet them on our trips outside Prague. They also manage our Instagram profile and work with Prague Pride. Translator, writer and, on rare occasions, a public speaker. They write articles, press releases, campaign content as well as other related things for us. Graduated in social work and is interested in social science methodology and research. Damian is a Slovak creative, trans activist and blogger living in Prague. He studied at the Film and TV School of the Academy of Performing Arts and is a professional in audio and video production. He is currently a multimedia producer at Czech Radio. Facilitator for support groups and groups for parents of trans children. Currently working as a high-school teacher. Mother of five, studies psychoanalysis and works in IT. Studies Special Education at Charles University and is a contact worker at a centre. He currently maintains the news section of this website and would like to do more work in education, making schools more friendly towards trans people in the future. Studies American Literature and Culture at Charles University with a particular interest in North American queer women’s literature. She is forever trying to reignite the radical spirit of 90s lesbian culture without all the transphobia. Never shuts up about Michelle Tea. Filip is a kindergarten teacher, blogger and one of the facilitators for our support groups. He loves working with kids and young people. 18 years old, studies logistical and financial services. A politician for the Pirate Party, actively working in politics, lobbying and the education of youth. She is working on several projects from education to international relations. 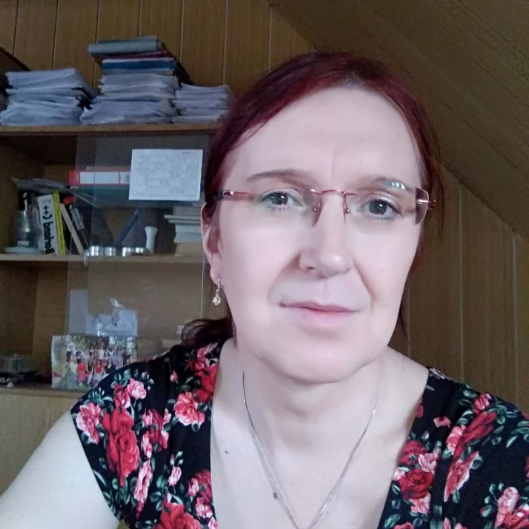 Her role at Trans*parent is the technical administration of this website, and she is an author of the current web design. Dancer, lecturer, DJ, organiser and an enthusiast for all sorts of things. Believes it’s important to be open and visible as a trans person. Works with the Mezipatra Queer Film Festival and recently shared her story in a TEDxPrague talk. Has been working with queer and trans teens since 2016. Conducts art therapy and works at Charles University in the field of interdisciplinary education and creative skills. Translator and editor, cross-country skier and yogini. Silvie manages FB page of Trans*parent and makes corrections of most of texts going “out”.